Lie down with your belly on the ground, like an old dog in the sun. Lie down with your belly on the ground and then rise up with the earth still in you. • You want to hit the pause button on life’s daily demands and be restored by the beauty and peace of nature. • You are looking for the support of like-minded women and the luxury of time alone in a beautiful place outdoors. • You are in a life transition and want guidance to let go of what no longer serves you and to step courageously into next steps for your life. • You want to receive the inspirational power of deeply connecting with the natural world and tap into your wisdom. On the Women’s Nature Day you will experience the three phases of a rite of passage. These phases will take you through an age-old, cross cultural practice in which humans seek out the solace of nature to guide them through a life transition. You will be a part of a small group, with no more than ten women. An average group size is six. The first part of the day is marked by the initial phase of a rite of passage, called Severance. Severance is a conscious choice to step out of your daily life, opening to a new way of being. With the support of a small group you will prepare for a period of solitude with nature. Be guided to connect with the beauty and peace around you through your senses. Connect with the group through simple ritual and sharing in circle. Be supported in honing your intention and questions you want to engage during your solo time. Be instructed on how to safely be in solitude. The next part of the day is the second phase of a rite of passage called Threshold. By stepping into the magical, wide open space of Threshold, you send an energetic message to your soul and the natural world that you are ready to deeply listen and receive wisdom, guidance, nurturing...whatever you long for. A bird soaring gracefully with the wind can remind you to let life support you. A clear, running stream can inspire you to give thanks for what you hold dear in life. A mountain top can serve as your stage to claim a new way of being. A soft, lush green meadow can invite you to lie down and receive the rejuvenating energy of the Earth. The last part of the day is the phase called Reincorporation. You will return from your solo and be welcomed back into the circle. Share the experience of your solo time and receive the gift of hearing the stories of your fellow participants. Have your story mirrored back to you by the guides, a rich process which draws out the wisdom, teaching and essential qualities of your experience. Be supported in taking a particular action and/or practice you want to carry forward as a way for your experience to take root in your life. 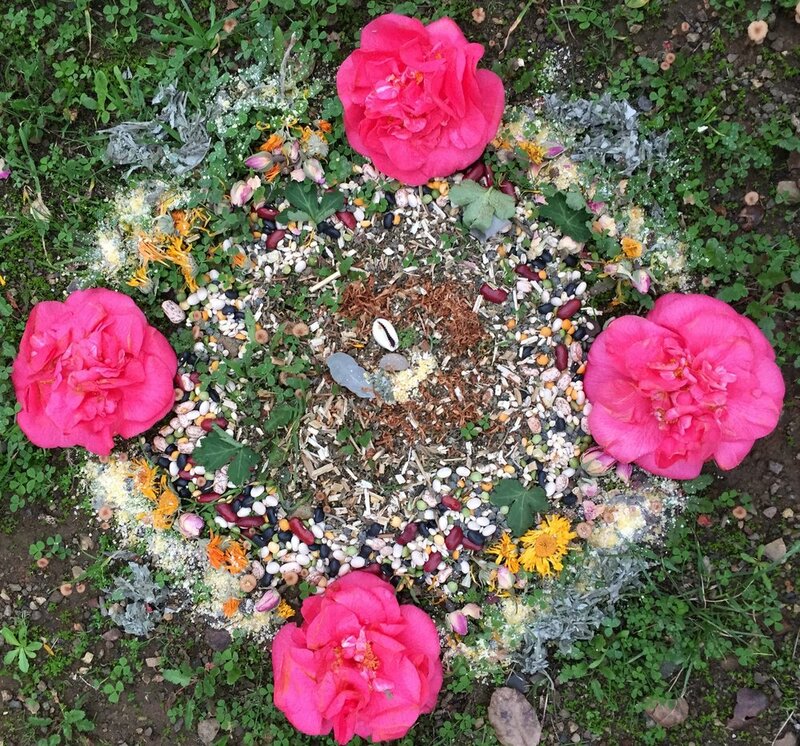 The Women’s Nature Day includes a private pre-daylong phone call with me to help bring clarity to your intentions and a private post-daylong phone call to support you with integration. West Marin, exact location to be given upon registration. $90 for New Year's Program. $180 for all others, bring a friend and you each come for $150. Includes a pre and post private phone call with me to be supported with your intentions and with integrating your Nature Day experience into your daily life.